ZAMBOANGA CITY, Philippines (Mindanao Examiner / Apr. 10, 2011) – Kidnappers have freed a Filipino trader on Wednesday after 7 weeks in captivity in the southern Philippines, her relatives said. They said Olivia Barredo, 36, was released in the town of Surabay in Zamboanga Sibugay province. 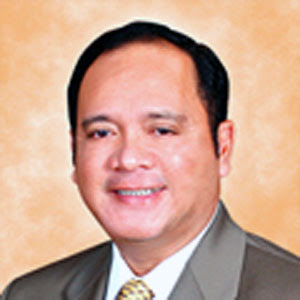 Barredo was kidnapped by three gunmen on March 3 in front of his horrified family in Labuan village. “She is resting right now,” said Zamboanga City Representative Erico Fabian, who is a relative of Barredo. “We were told that Olivia was released in Surabay (town). She looks very tired and is asking to rest. All the relatives are here and we happy about her safe release,” he said. No other details were made available by the politician about the woman or her captors. “She is still confused,” Fabian said. But the woman said the kidnappers brought her to Surabay town where she was told to get a motorcycle and go home. “I don’t know where I was taken and all I know was that we travelled by boat for more than eight hours until we reached Surabay at around 6 a.m. and they instructed me to get a motorcycle and go home,” Barredo told the Radio Mindanao Network in an interview. Barredo said she was not harmed by the kidnappers, but complained of the little food she had during her 47-day ordeal. “I am so tired and I have lost weight. There was not enough food for us,” she said. It was unknown whether her family paid ransom or not, but the kidnappers earlier demanded a still unspecified amount of money in exchange for her freedom. No group claimed responsibility for the kidnapping. But police had arrested two men – Abdusali Esmali, 44, and Zaldy Daing, 41, - during a pursuit operation shortly after the kidnapping. Both men are natives of Zamboanga Sibugay province. Police said the kidnappers were former members of the Moro National Liberation Front under Commander Hingjisman Kalingalang who has ties with the larger Moro Islamic Liberation Front.